Letter to William P. Chase from Martha Berry thanking him for including the Berry Schools in his will. Martha Berry sends information about Berry's endowed system and a form of bequest that should be used in the will. 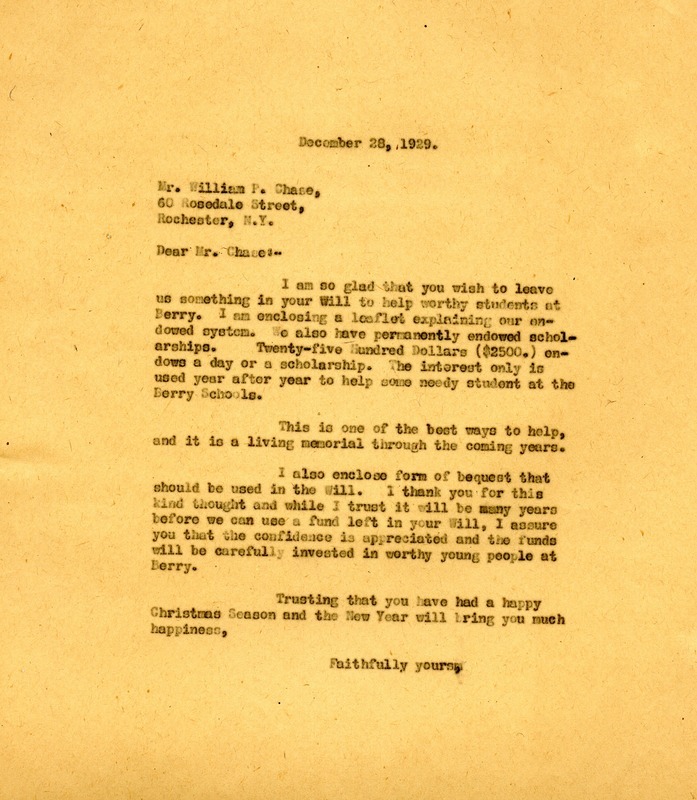 Martha Berry, “Letter to William P. Chase from Martha Berry.” Martha Berry Digital Archive. Eds. Schlitz, Stephanie A., Chelsea Risley, Haley Fortune , et al. Mount Berry: Berry College, 2013. accessed April 20, 2019, https://mbda.berry.edu/items/show/12098.